Oh, how things can change in just a few years. 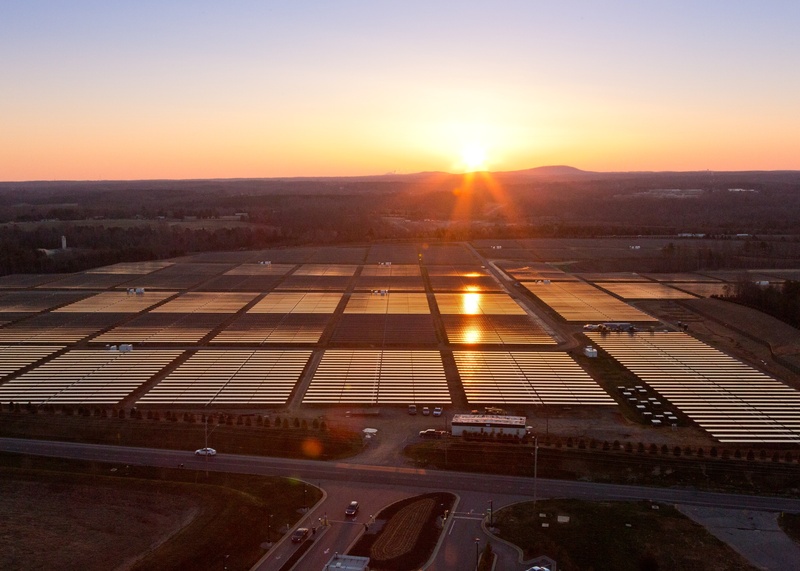 Several years ago there was so little clean power in North Carolina that Apple ended up building massive solar power farms in the state to help power its data center. Google shied away from green power for its North Carolina data center, which was built back in 2006. But over the last couple of years North Carolina has morphed into a leading solar growth state, showing 80 percent growth in its solar industry in 2013. And on Monday the local utility, [company]Duke Energy[/company], announced a plan to spend $500 million on building, buying and acquiring solar panel farms throughout the state. The projects will help Duke Energy meet the renewable portfolio standard that says utilities need to have 12.5 percent of their electricity coming from clean power by 2020. Buy and develop three solar panel farms, totaling 128 MW, in Bladen, Duplin and Wilson counties. These include the Warsaw Solar Facility, developed by Strata Solar, the Elm City Solar Facility, developed by HelioSage Energy, and the Fayetteville Solar Facility, developed by Tangent Energy Solutions. Duke Energy has to get approval from North Carolina’s public utility commission for these project acquisitions. Buy power from five new solar projects in the state, with a total of 150 MW of capacity, through a deal structure called a power purchase agreement. These include projects developed by Innovative Solar Systems, FLS Energy, Birdseye Renewable Energy and Element Power US. Duke Energy doesn’t have to get approval from the North Carolina public utilities commission for these projects. These projects are a big jump in the amount of solar in North Carolina from Duke Energy. Rob Caldwell, SVP of Distributed Energy Resources for Duke Energy, called the solar projects “a 60 percent increase in the amount of solar power for our North Carolina customers” in a statement. Duke Energy isn’t just trying to meet the state RPS. In addition, solar panels have become a much cheaper option for utilities as the price of panels has plummeted, and solar farms can also provide jobs for a recovering economy. Speaking of job creation – any idea of a number or best guess of jobs that a farm like this would create in terms of construction and ongoing jobs?